In articles and columns touting the virtues of solar energy, a chorus of reporters and pundits are claiming that solar panels produce electricity for about the same cost as fossil fuels. These individuals are also declaring that because of this, solar energy will soon provide a major portion of the world’s electricity. 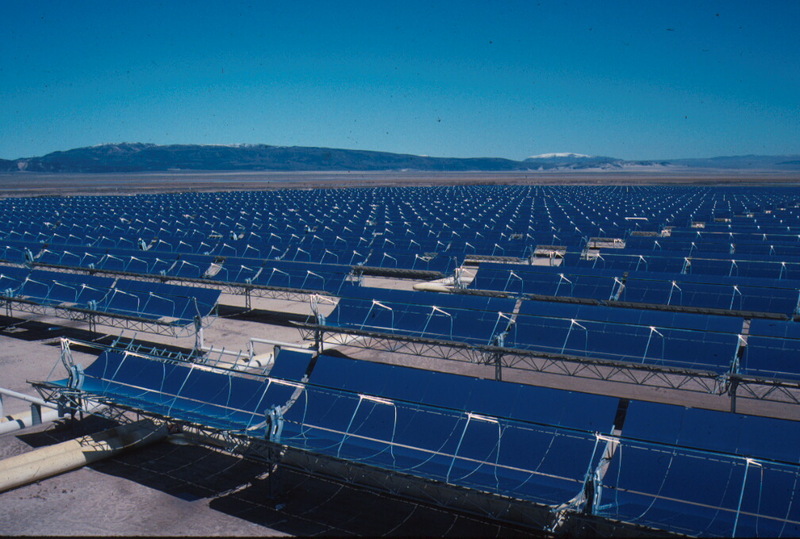 However, official government data from the U.S., Germany, and the International Energy Agency show that solar energy is far more costly than fossil fuels. Furthermore, even if governments continue to mandate and subsidize solar while penalizing competing technologies, solar is on track to supply only 1.2% of the world’s electricity by 2040. This has important implications for the vast majority of people in the world, because energy costs critically affect standards of living, particularly for the poor and middle class. The effort to deal with environmental concerns has become a central feature of Federal energy policy. Substantial costs which were formerly outside the market mechanism have, through the implementation of a series of taxes and regulations, been internalized to energy markets. Nonetheless, it is often impossible to assign objective dollar figures to these environmental impacts, and thus, some argue that fossil fuels are overtaxed and overregulated, while others say just the opposite. Beyond corporate income taxes, governments also impose excise, sales and other taxes specifically targeted at fossil fuels in order to restrict their production and consumption. Despite all this, fossil fuels are still generally less expensive than green alternatives like solar, wind, and biodiesel. In fact, EIA has projected that by 2018, newly built commercial solar capacity will still be more than twice the cost of new natural gas capacity. Furthermore, as detailed below, these projections are based on assumptions that make the cost of solar seem much lower than reality. However, polls have shown that even though the vast majority favor green energy, most are not willing to pay a premium for it. For example, only 7% of utility customers are willing to pay an extra 20% for energy from renewable sources. This leaves green energy proponents in a tough position, because the energy sources they are promoting are at least 20% more expensive than their fossil fuel equivalents—and sometimes much more. Faced with these circumstances, many environmentalists and green energy investors have resorted to misrepresenting the costs of these energy sources. Contrasting those unsupported assertions with actual data from EIA, the levelized cost of newly built commercial-scale solar energy will be $144 per megawatthour by 2018. This is 2.2 times more than the $66 cost of electricity from new natural gas capacity, and 44% more than the $100 cost of new coal capacity. Moreover, rooftop solar systems, which comprise most of the solar capacity in the U.S., are more costly than utility-scale solar systems. To quote the National Renewable Energy Laboratory, “rooftop PV [photovoltaic solar] is expensive compared to large-scale, ground-mounted systems.” This is mostly because larger systems benefit from economies of scale. are computed by assuming that all types of generation capacity have a 30-year financial life. However, solar panels have an expected life of 20-30 years, while nuclear, coal, hydropower, and natural gas power plants commonly last for 60 years or more. do not account for the fact that electricity generated by wind and solar is generally less valuable than electricity from fossil fuels. This is because wind turbines only spin when the wind is blowing, and solar panels only produce when the sun is shining. Such discontinuous sources of capacity must be backed up by technologies that can produce a steady stream of power, like fossil fuels and nuclear. These added expenses are not reflected in EIA’s levelized costs. In sum, even under these solar-friendly estimates and numerous regulations and taxes imposed upon fossil fuels, the costs of utility-scale solar are far higher than that of natural gas and coal. The situation is even worse for rooftop solar, the most common source of solar. The engineers still believe that global warming may “take a terrible toll on civilization” but have concluded that “trying to combat climate change exclusively with today’s renewable energy technologies simply won’t work.” In other words, wind and solar are hopelessly inadequate for this goal. Thus, Google is redirecting its efforts to developing a game-changing technology like nuclear fusion. Likewise, the Richard Dawkins Foundation has published a headline declaring that “Germany Now Produces Half Of Its Energy Using Solar” (Hat tip: Robert Wilson). Beneath this headline is a meme that says “I F#I&ING LOVE Science,” and beneath that is the disclosure that Germany does not produce half of its energy from solar. Instead, Germany did this on a certain day at a certain time when the country’s electricity needs were low because of a public holiday. An actual government forecast for solar energy is presented in EIA’s latest International Energy Outlook. According to this, under current laws and regulations, solar will supply only 1.2% of the world’s electricity in 2040, as compared to 36% for coal, 24% for natural gas, 16% for hydroelectric, and 14% for nuclear. Those figures are based on the assumption that governments will keep propping up solar and holding back fossil fuels. These actions are not without costs, because every extra dollar that is used to build a solar panel rather than a more cost-effective option is a dollar that cannot be used for food, shelter, clothing, healthcare, or any other purpose. The economics of energy greatly affect almost every material element of modern human life, from the costs of food and internet access to wage levels and unemployment. Hence, it behooves every thinking person to critically weigh the pros and cons of different energy technologies and the government policies that affect them. All too often, journalists, pundits, and educators emphasize the environmental benefits of renewable energy while ignoring or distorting the downsides of these technologies. That may enrich green energy investors and gratify the feelings of environmentalists, but it is a disservice to the vast majority of people whose lives are directly impacted by the real-world consequences of these matters. James D. Agresti is the president of Just Facts, a nonprofit institute dedicated to researching and publishing verifiable facts about public policy.